Far Infrared Rays are part of the sunlight with wavelengths of 6-14 microns; it is beneficial for the growth of all living beings. Therefore these rays are called "Biogenetic Rays". 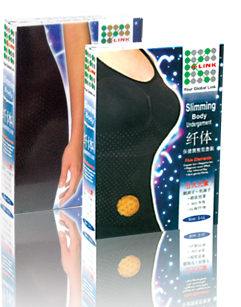 Far Infrared Rays can improve blood circulation and metabolism, burning excess fats and extra calories, shaping up attractive body curves, regulating autonomic nerves system and eliminating fatigue rapidly. Magnetic-wave massage is applied to increase blood ionization, improve blood circulation and regulating autonomic nervous system for a better healthy body. Negative ions help to kill and prevent bacterial growth and also balance the central nervous system. Copper ions help to get rid of odour and unpleasant smell. Anti-germs fibre helps to prevent bacterial growth. Its high elastic material provides the best comfort and anti-roll up function to experience a perfect feeling and accomplish a perfect body.